By now all remnants of turkey leftovers have long vanished from your refrigerator along with the endless turkey sandwiches, turkey noodle soup and turkey casseroles. For my family, it’s time to start looking forward to a delicious holiday ham. There’s nothing better than a warm and sweet spiral sliced ham for Christmas dinner at my house. And while I’m a huge fan of these inexpensive pre-cut hams I also love the endless meal possibilities of leftovers. If you season your ham just right, the well-crafted flavors can tantalize your taste buds all week long. Place spiral ham in a 9x13 casserole dish or large roasting pan. 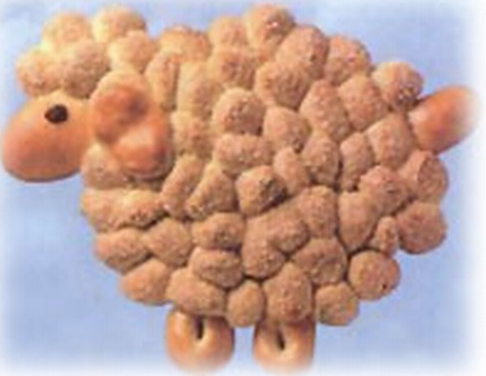 Cover with foil and warm ham according to package directions or at 325 degrees for 12-14 minutes per pound. Mix Pineapple, brown sugar and allspice in separate bowl. With one hour cooking time left remove foil and pour pineapple mixture into pan. Spoon juice over ham and in between slices every 15 minutes until the ham is fully warmed. Cut ham away from bone and reserve bone, juices and any leftover pineapple in the refrigerator. Presoak dry beans over night. After soaking rinse beans and remove any grit or any undesirable beans. Place ham bone in the bottom of a 6 qt. Crock Pot. Add soaked beans. Add enough water to cover the beans and bone. Add ham, garlic, pineapple, congealed ham juices and allspice. 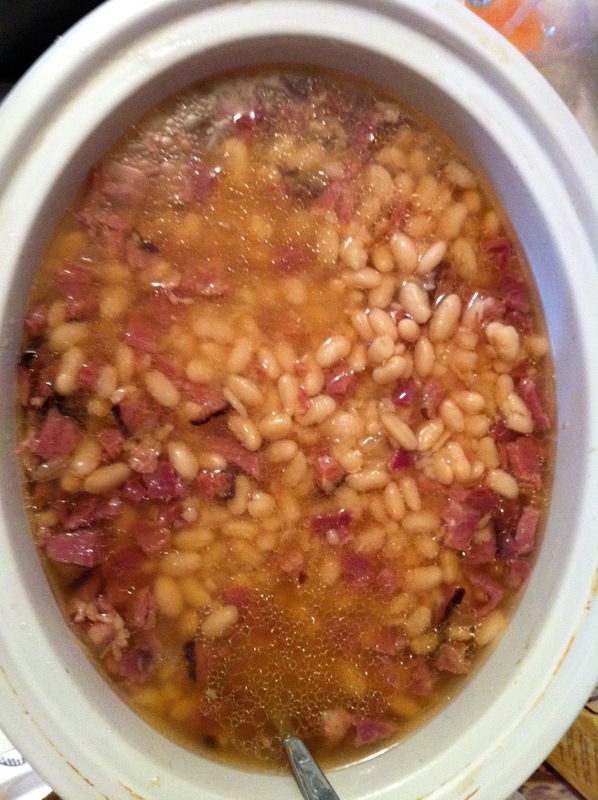 Cover and cook on high for 6-7 hours or until beans are soft. Add more liquid if necessary while cooking to cover beans. Remove bone and pineapple before serving. 1/2 Teaspoon Schilling Salt ‘n Spice or ¼ C. diced onions and salt & pepper to taste. Mix soup, milk, gravy and seasoning in a large bowl, add potatoes and ham and coat well. Pour mixture into a greased 9x13 casserole dish. 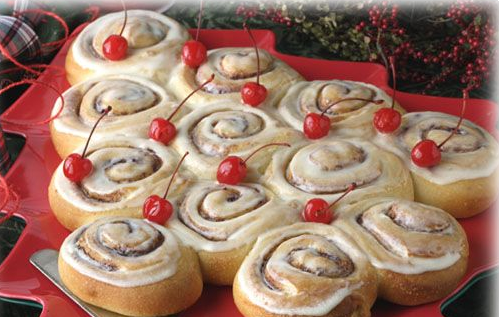 Cover with foil and bake at 375 degrees for 40-45 minutes or until potatoes are tender. Remove foil and top with shredded cheddar cheese and cook for 5 more minutes to melt if desired. 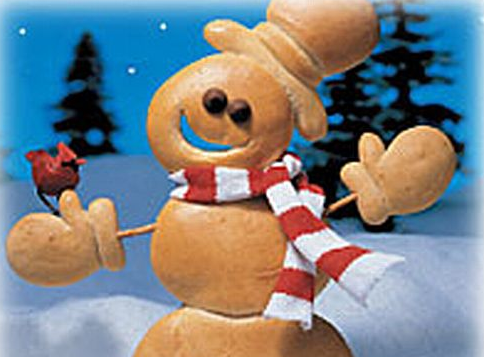 Get ready to save the day with these mouth-watering holiday ham recipes this Christmas! December = Hot Beauty Deals! Now, more than ever, is the best time to be beautiful! While I honestly believe true beauty lies within our inner spirit and humanity, a little extra lip gloss doesn't hurt, now does it? December and January are hotbeds of personal hygeine clearance as name brand manufacturers drastically mark down shelf prices on "last years model" of hair care, cosmetics and more in order to make room for the new and improved! Last January a national drugstore chain began clearancing all their old Pantene hair care products to make way for a redesigned package. Not only did they reduce the cost for the entire line of products, but allowed shoppers to pair that with manufacturer coupon savings. 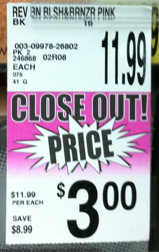 When this happens, it’s clearance savings at its best! 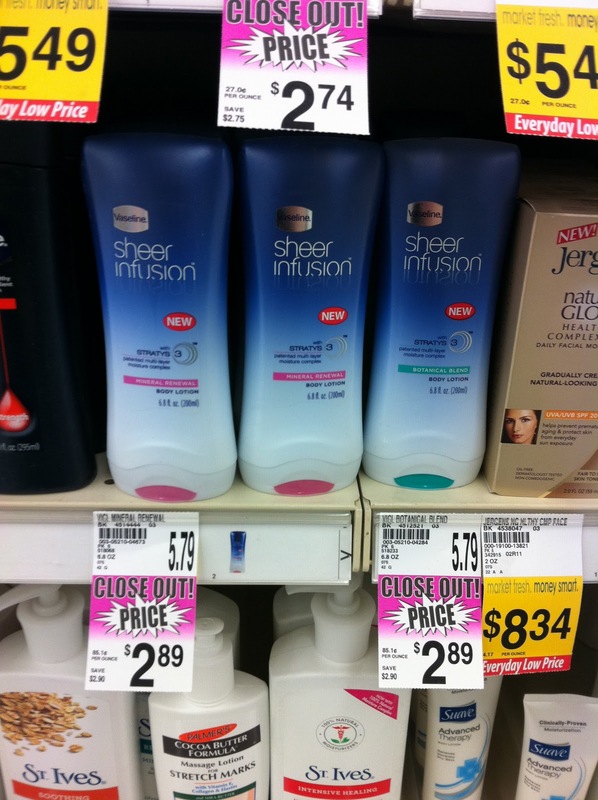 Savvy Shoppers were able to stock up on bottles of FREE Pantene! As I strolled the aisle of Smiths last week, making my Smiths Coupon Round Up Event Freebies & Deals List, I couldn't help but notice the plethora of beauty product clearance tags. I scored on several deals at 70% - 90% off. 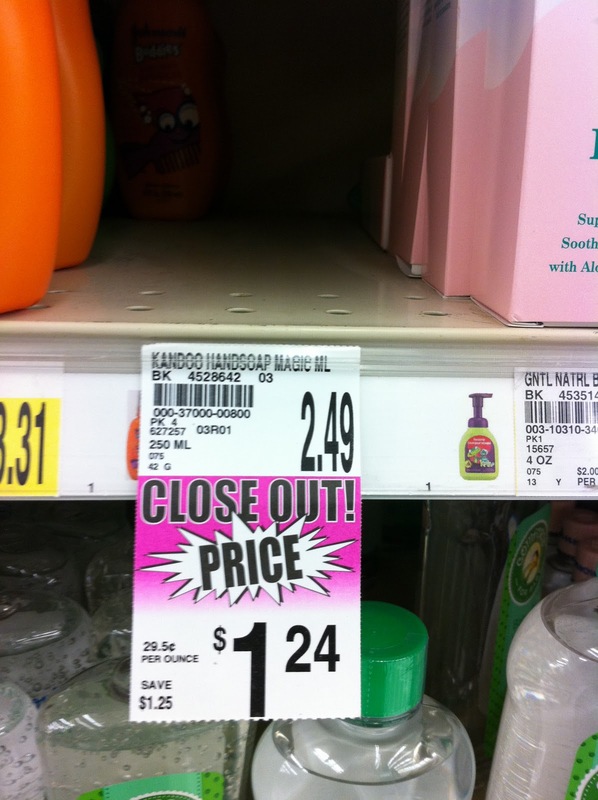 For example I found 3 Kandoo children's hand soaps marked down to $1.24. I had 3 $1.00/1 Kandoo Coupons and so I bought them for $0.24 (Note the empty shelf :-) I also found Vaseline Sheer Infusion Lotion for $1.89 after $1.00/1 coupons as well. I love this lotion but would never pay the almost $6 shelf price! Just by watching the clearance tags you too can be rewarded with hot beauty savings this December. There's nothing wrong with polishing up the outer beauty to go along with your inner beauty as well! A Savvy Tip: Browser Security - Why can't I print coupons? According to Yahoo Finance, "The technique the University of California, San Diego researchers investigated is called "history sniffing" and is a result of the way browsers interact with websites and record where they've been. The researchers studied far more sites -- a total of the world's 50,000 most popular sites -- and said many more behaved suspiciously, but couldn't be proven to use history sniffing. Nearly 500 of the sites studied had characteristics that suggested they could infer browsers' histories, and more than 60 transferred browser histories to the network. But the researchers said they could only prove that 46 had done actual "history hijacking." 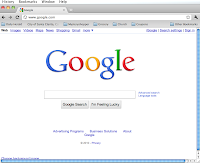 Microsoft Corp. noted that Internet Explorer users can enable a private browsing mode that prevents the browser from logging the user's history, which prevents this kind of spying. But private browsing also strips away important benefits of the browser knowing its own history, such as displaying Google links you've visited in different colors than those you haven't." WOW!!! For safety's sake make sure you select "yes" when you're asked whether or not to automatically upgrade your browser software! 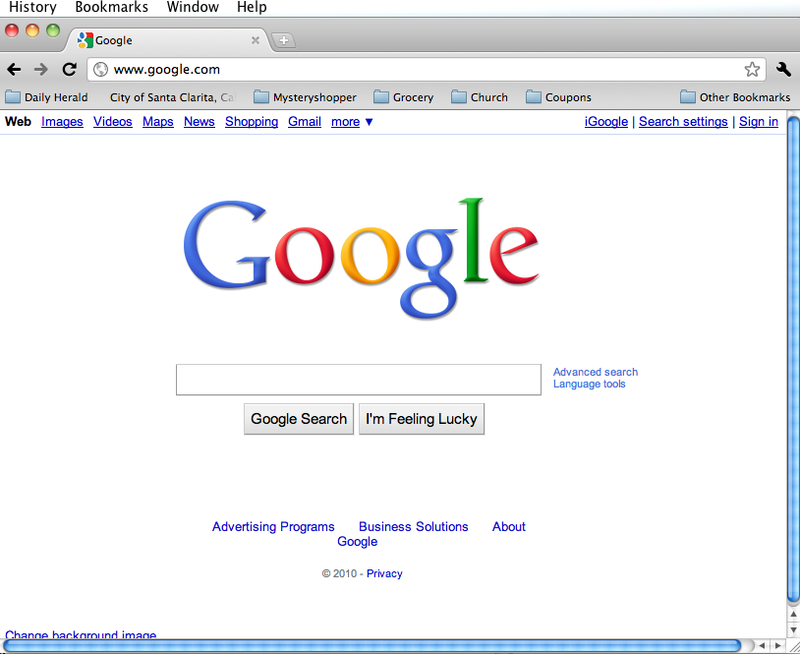 There is a downside to upgrading your browser though. Almost every time you upgrade your browser, printable coupon sites like Coupons.com, Smartsource.com and Redplum.com won't be ready for the upgraded security features. That means you'll be temporarily unable to print coupons and get a "Coupon Printer Not Installed" message, even though you already have it installed or the "please enable Java" message, when it's already enabled. Just wait a week or two for the coupon sites to catch up or try using a different browser for a while. 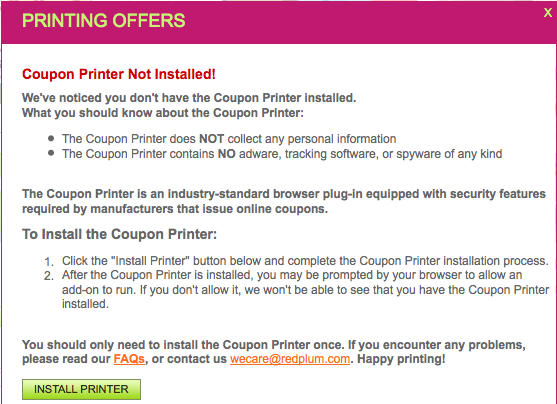 Right now I have to print brick coupons in Google Chrome, Redplum in Safari and still cannot print Coupons.com coupons. Oh well, they'll catch up too! It's worth the temporary printing inconvenience to make sure I'm as safe as possible online!